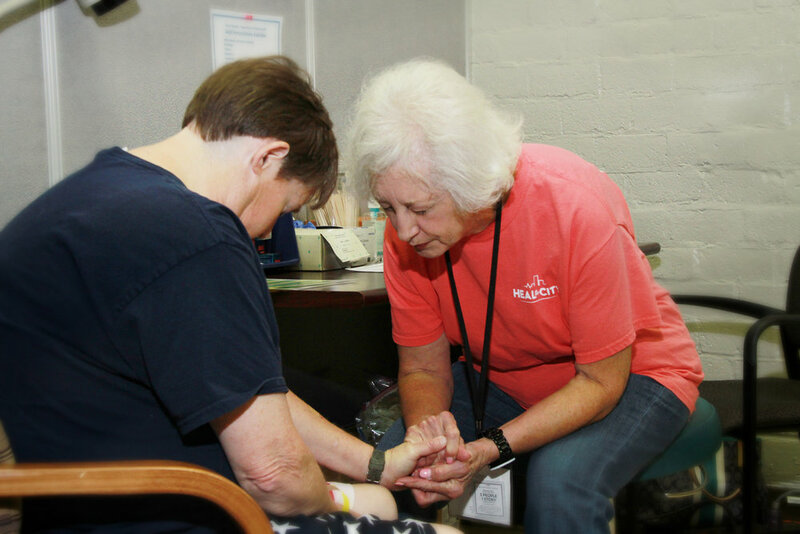 All have dedicated time and volunteers to come weekly to pray with our patients. They follow the scripture, "Sing to the Lord all the Earth; tell of His salvation day after day!" Heal the City is blessed to have Gideon's come during urgent care to provide snacks, bibles, and a person to talk to while our patients wait to see a provider. "A woman of the city, who was a sinner, when she learned that he (Jesus) was reclining at table in the Pharisee's house, brought an alabaster flask of ointment, and standing behind him at his feet, weeping, she began to wet his feet with her tears and wiped them with the hair of her head and kissed his feet and anointed them with the ointment. ... He said to the woman, 'Your faith has saved you; go in peace.'" Luke 7:36-50.